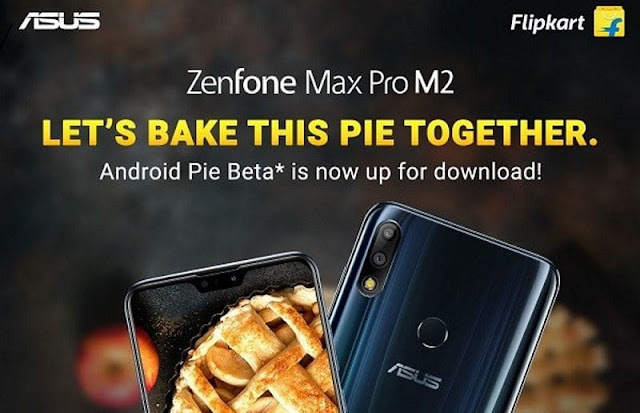 The Asus ZenFone Max Pro M2 smartphone is getting a beta update of Android 9 Pie on handset manufacturer. Asus today informs of beta updates to Zenfone Max Pro M2. Asus ZenFone Max Pro M2 can be a bug in the beta update of Android 9 Pie, because it's currently in the testing phase. After receiving Feedback from Beta User, the company will issue a stable update for ZenFone Max Pro M2. Let us know for the information of people that beta updates have been released in India. Anyone who wants to try Asus ZenFone Max Pro M2 Users Beta Update, visit the company's website for the beta program. The company said that those interested in participating in the beta power user program will have to share their phone's IMEI information, serial number and existing firmware details. You must submit the application to the website, if you select, the company will provide you with information via email. Asus wrote on his website that keep in mind that this is a beta program. In this way, when you update the installs, you will have to accept the potential risk. The official changelog of updates is not available right now. But hopefully with the update, the user will get many other features including adaptive batteries, adaptive brightness, app action. Recall that a few days ago a stable software update was issued for Asus ZenFone Max Pro M2. January 2019 security patches were also rolled out with updates. Dual SIM (Nano) Asus Zenfone Max Pro M2 (Zb 630 KL) runs on stock Android 8.1 Oreo. It has a 6.26-inch full-HD + (1080x2280 pixels) display. It is equipped with 19: 9 aspect ratios and 2.5 de Curved Corning Gorilla Glass. The smartphone has Qualcomm Snapdragon 660 processor. RAM has three options available in - 3 GB, 4 GB, and 6 GB RAM. Asus ZenFone Max Pro M2 found Android pie beta update-Asus ZenFone Max Pro M2 has dual rear camera setup in this price. The primary sensor is of 12 megapixels. Equipped with rear camera setup EIS, 4K video recording support and LED flash module. ZenFone Max Pro M2 has a 13-megapixel sensor on the front panel with F / 2.0 aperture, 1.12-micron pixels and LED flash.